On August 3rd the Zimbabwe Electoral Commission announced that Emmerson Mnangagwa of the ruling Zimbabwe African Union-Patriotic Front (ZANU-PF) had narrowly defeated Nelson Chamisa of the opposition Movement for Democratic Change (MDC) 50.8% to 44.3%. Mr. Mnangagwa’s margin of victory was just enough to avoid a run-off. Though MDC initially protested the results, the Constitutional Court overruled the opposition’s claims of substantial fraud and vote rigging. While international monitors acknowledged that there were some irregularities, the election was almost universally hailed as the most violence-free and transparent in decades. The election of President Mnangagwa could potentially mark a new beginning for Zimbabwe after decades of iron-fisted autocratic rule by Robert Mugabe, a hero of the war for liberation, whose regime became increasingly authoritarian after early signs of great promise. Cronyism, corruption and violent suppression of the opposition became the order of the day as Mugabe resolved to cling to power at any cost. The problem is that President Mnangagwa was a fierce lieutenant of Mugabe who earned the name the “crocodile” for his willingness to ruthlessly carry out the will of his protégé. But, Mnangagwa turned on his erstwhile leader after an internal power struggle in which he apparently fell out of favor with Mugabe.There was restlessness among the leadership of ZANU-PF that, after 37 years, the 94 year old Mugabe seemed determined to be “President for Life” with his wife Grace functioning as the defacto Co-President. Mnangagwa gained the upper hand in the power struggle when forces loyal to him within ZANU-PF staged a coup in which Mugabe was placed under house arrest. Faced with a motion for impeachment, Mugabe agreed to resign. Mnangagwa, the new man in charge, promised that there would be democratic elections to establish a new government, and though the process was not perfect, he kept his promise. This context is important because Mnangagwa’s election as President could simply represent a shuffling of the deck within a ruling party which has long since lost its way, or the dawning of a new day in Zimbabwe. As veteran pan-Africanist, I certainly hope it will be the latter. I have fond memories of playing a leading role in the African Liberation Support Movement in this country that enthusiastically embraced and supported Robert Mugabe and ZANU-PF. As the Chairman of Freedom, Inc. in Youngstown, Ohio, I can remember warmly receiving Tapson Mwere, ZANU-PF’s U.S. representative for the African Cultural Weekend we sponsored annually. We had great hopes that the triumphant anti-colonial struggles in Zimbabwe and throughout Southern Africa would result in progressive governments that would be devoted to improving the quality of life for the masses of the people. As noted earlier President Mugabe and ZANU-PF got off to a promising start as Zimbabwe’s economy was ranked as one of the most prosperous in Africa. 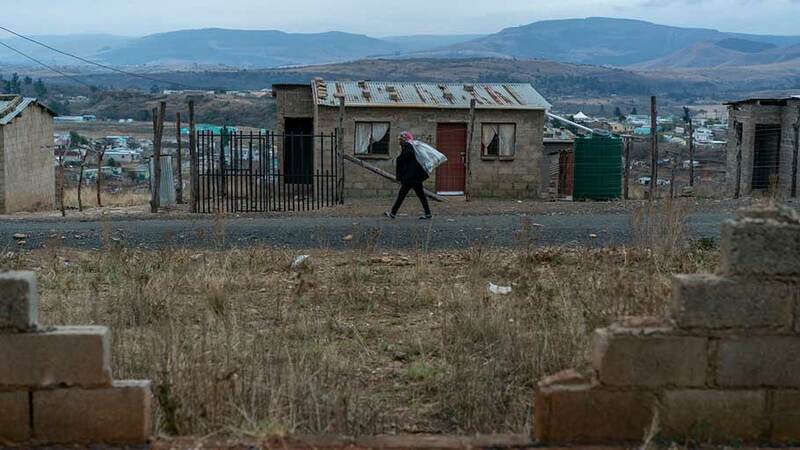 However, this prosperity was grossly uneven because the vast majority of the land remained in the hands of a small minority of White farmers and landlords who disproportionately benefited from the countries growing economy. Large numbers of Zimbabwe’s peasants, including veterans of the war of liberation, were landless despite the Manchester House Agreement where Great Britain pledged to provide resources to finance the acquisition of land from wealthy White landowners. Great Britain blatantly defaulted on the Manchester Agreement. In a defiant and correct act, that burnished his revolutionary credentials at home and abroad, Mugabe moved to seize land from the White landowners, ostensibly for the purpose of redistributing it to landless peasants. This was all good, but there were already signs that the “revolution” was veering off course in a manner that would entrench and enrich Mugabe and his ZANU-PF cohorts. From 1983 to 1987 thousands of men, women and children from the Ndebele ethnic group were killed in the Gukurahundi massacres. This multi-year slaughter is widely believed to have been directly ordered by Mugabe and executed by his then loyal Lieutenant, the “Crocodile,” to cleanse the country of potentially disloyal or oppositional groups. These massacres have left a deep wound in the nation; one that signaled Mugabe’s determination to establish one-party rule and stamp out any opposition to his regime despite the human carnage. To that end, land and other patronage was largely dispensed to loyalists to bolster his rule. In addition, in a series of elections, Mugabe unleashed his forces to brutally suppress the opposition MDC under the leadership of his long-time rival Morgan Tsvangirai. Needless to say, this is not what I had in mind when we supported Mugabe and ZANU-PF. These acts were tantamount to a betrayal of revolution rather than a continuation of it. 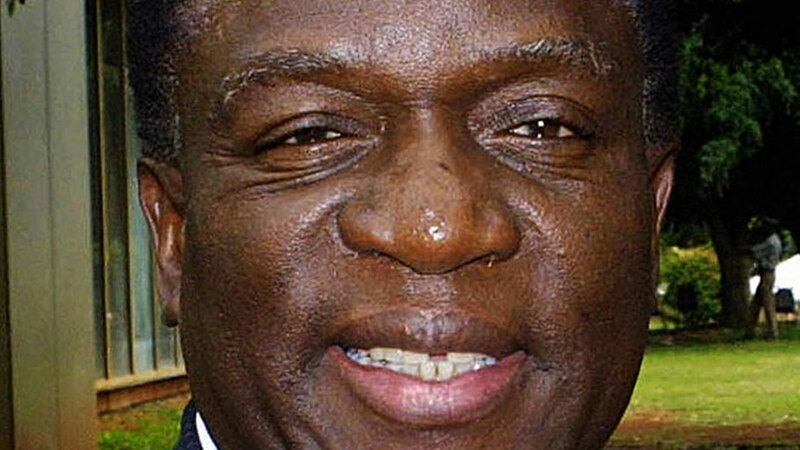 Therefore, I am skeptical that someone like President Mnangagwa, who was actively complicit in the betrayal, can restore the vision of the revolution. My skepticism notwithstanding, I am willing to give him a chance to redeem himself. After all, neither he nor any of his allies need more wealth, they have already acquired more than enough to provide lavishly for their families and their children’s children for generations to come. So, perhaps, just perhaps, the new President will have a flashback and remember the original goal of the anti-colonial struggle and re-commit himself to a revival of the revolution. But, in order for him to succeed in this pursuit, sanctions must be lifted immediately. The most recent election is an initial show of good faith on his part. There are other steps which President Mnangagwa can also take to reignite the fervor of the revolution. He needs to take serious steps to heal the wounds of the Gukurahundi massacres. He should also reach out to the opposition MDC to explore a government of inclusion, where power and resources will be shared in a manner that defuses ethnic tensions. The President already has some experience in this regard as he was the central figure that negotiated a power sharing agreement with the MDC after the 2008 General Election. He should devise a Pan African development plan and strategy based on the regional, continent-wide and global utilization of African human and material resources to consolidate and expand Zimbabwe’s economy. Finally, he should make a vigorous effort to engage the Diaspora in the social and economic development of the country. We in the Diaspora can support the prospects for a new day in Zimbabwe by demanding the end of sanctions. We must reject the “reform first, removal of sanctions later” position of the U.S. Government. Moreover, we must support the call for Great Britain and multilateral agencies to implement the Manchester House Agreement. Finally, we can support the prospects of a new day in Zimbabwe by making it clear to President Emmerson Mnangagwa that our support is “critical support,” that we expect adherence to principles of democratic governance and human rights and the creation of a people-based economy, targeted to benefit the masses of the people. That was what the “revolution” was supposed to be about. A luta Continua, the struggle continues!